Due to anatomical reasons, and aggressive environmental factors, this zone often ages more markedly than the rest of the face. 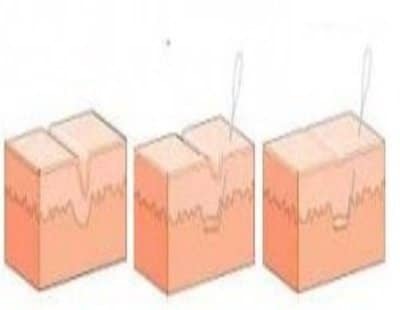 The ‘bar code’, frequently seen among smokers, is due to dermal breakage, caused by repeated contractions of the dermis when the orbicular mouth muscle moves. – Drying and discoloration of the red of the lip. – The loss of definition of the lip edge and the lips. – The red of the lip thins/ loses volume. – The labial commissures (side edges) sag and become hollow. – The philtral crests flatten and the Cupid’s bow loses definition. 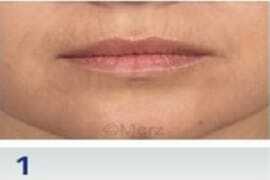 – Vertical wrinkles appear, notably above the upper lip, creatingthe ‘bar code’ or ‘sun folds’ effect). Injection is by needle along the line of the ‘red lip’ or by the ‘bleaching technique’. A very feebly reticulated product is used, such as Emervel touch or Emervel Classic (this is not used for the ‘bleaching technique’). 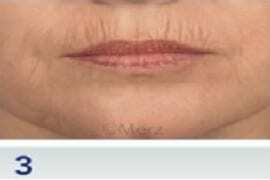 If the wrinkles are accentuated and the photo-ageing too significant, ‘cross-hatching’ is performed via cannula to the white of the upper lip, perpendicular to the lines (this procedure is a bit tedious as the dermal contacts must be broken). Sometimes, just the coating suffices. 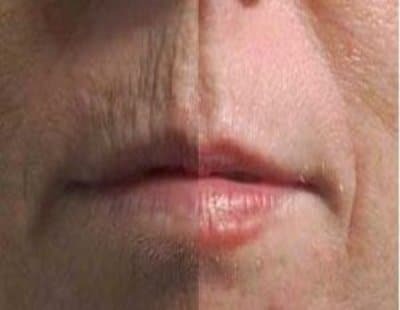 Cutaneous ablation and laser heat densify the skin of the white upper lip. The treatment can be done in fractionnal mode, we then perform 4 sessions at a month and a half apart. 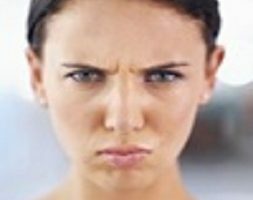 Wrinkles improve without disappearing completely. The advantage of this technique is a short down time of 3-5 days. 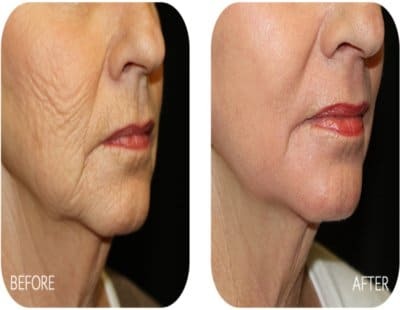 Using continuous mode, a session is sufficient for the disappearance of these wrinkles but there is a risk of a difference of color and the consequences are heavier (down time of 7-10 days, then pink skin for 3 months). Depending on the depth of the wrinkles, we chose a medium TCA peel or a deep phenol peel. We get rid of wrinkles. The consequences and complications are the same as those of the continuous ablative laser. I’m satisfied with the hyaluronic acid injections that Doctor Romano did to treat my lip wrinkles. I plan on coming back to her cabinet for other treatments! Doctor Romano erased the wrinkles around my lips. I recommend her and I’m going back soon! Competent and attentive doctor. The results are natural, I had deep wrinkles on top of my lips, I’m really pleased with the result. Thank you Doctor. 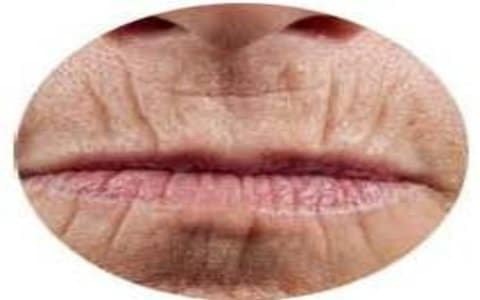 The result of the lip wrinkles treatment is just incredible. Thank you Doctor Romano. Acide hyaluronic 350€ each syringe. The number of syringes needed is determinated during the initial consultation.